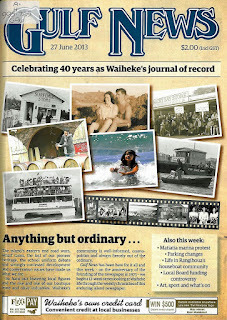 In 2013 the Gulf News celebrated its 40th year chronicling the stories of the Waiheke community. 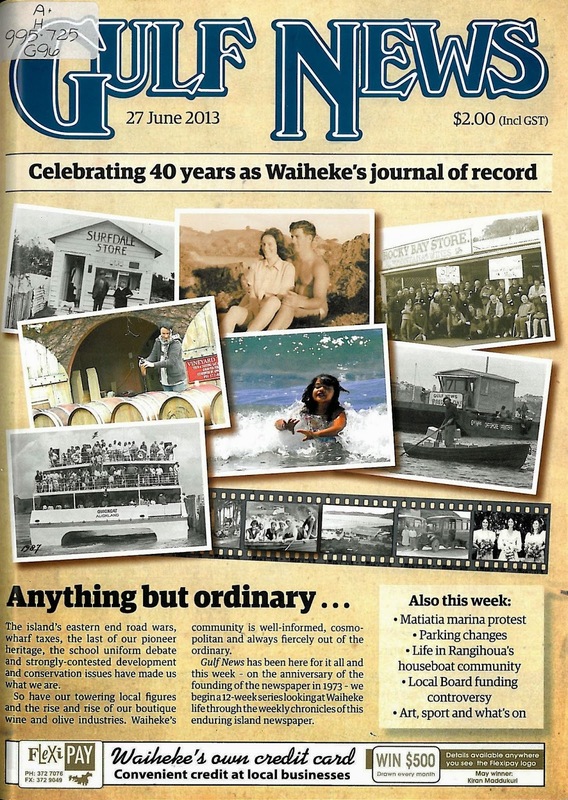 We have been indexing the Gulf News into Index Auckland since 1990, with our focus on the people and their stories, and stories about Waiheke's organisation's and development. We have followed Helen Elscot's column as she interviews various islanders asking them where their favourite place is on Waiheke, finding out their life stories as they talk. We have followed families over the years through their various activities, such as protesting against marinas or initiating charitable ventures. There is more to these articles than a local’s rant at council, and even that can be of interest when researching a relation years down the track. Like others of their kind, and there can't be many that are similar to the Gulf News, local rags can be a gold mine for family historians. As an island newspaper, the Gulf News reflects its inclusive, thriving and vocal community. It’s not just people who are of interest in this magazine. 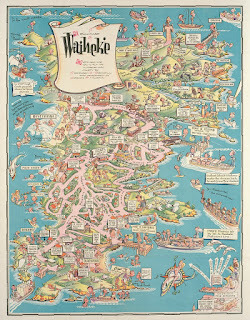 There is bucket loads of local history, ranging from early days on Waiheke to the history of the local library. For anyone interested in maritime history there are stories on historic scows that have been part of Auckland’s history, including the story of the hulk M. A. Doran. The Gulf News is a little gem, packed with stories of human interest and stories that narrate the development and spirit of a gutsy little island.